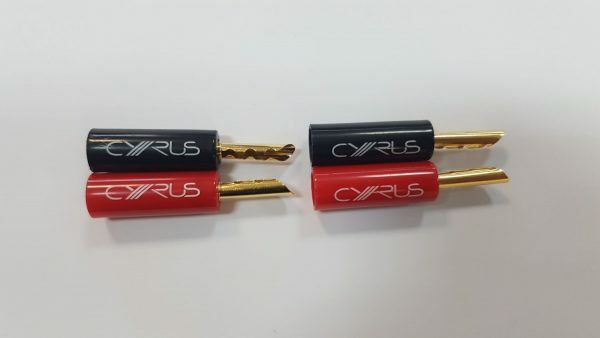 Some Cyrus products such as the 6DAC and 82DAC use BFA connectors as speaker terminals. 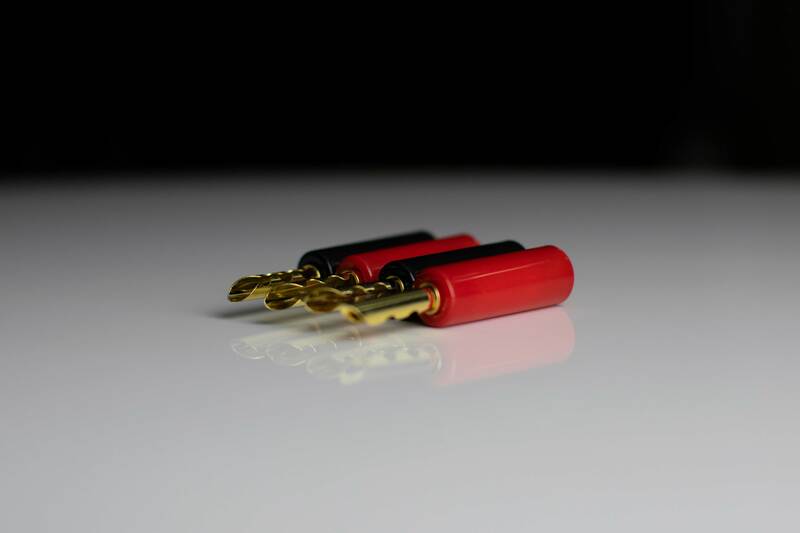 These terminations are easy to add to a length of cable. 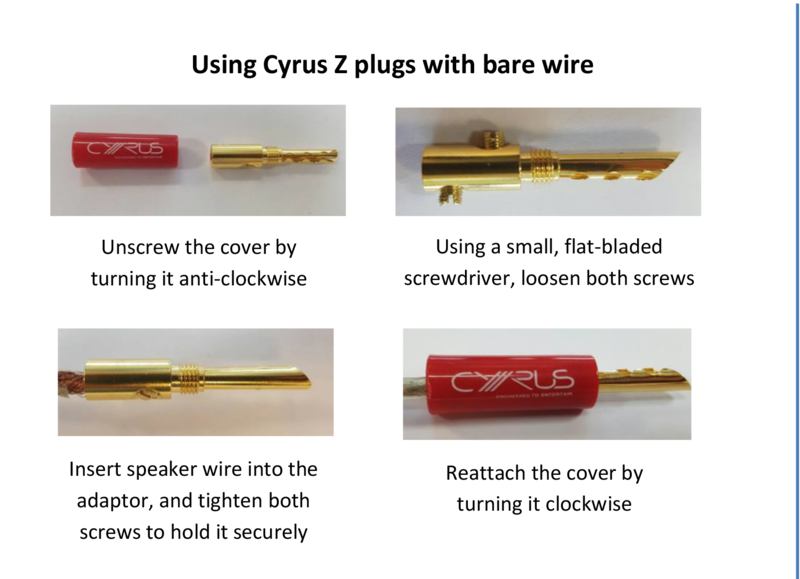 Simply remove the hard plastic shielding and use the small screw to grip your stripped length of cable before replacing the shielding. 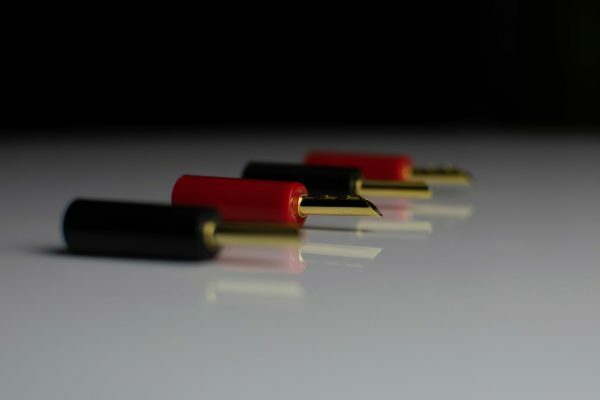 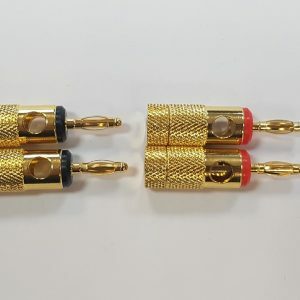 These connectors will work with any amplifier with either BFA or 4mm banana connectors.